Where is Andorra? The trip started as a question. As it turns out, located high in the Pyrenees Mountains is the tiny principality of Andorra. It’s the 179th largest country in the world, which is to say, it’s one of the smallest. Actually, it is the 16th smallest by size and is the 11th smallest by population. This means much of Andorra is sparsely populated. Despite its limited size, there are lots of great things to do in Andorra and the surrounding countryside. Andorra has both natural beauty in the mountains and cultural attractions in the capital, Andorra la Vella. This tiny little country makes a great weekend getaway from anywhere in Europe. Andorra is a mountainous paradise and welcomes hikers and trekkers of all abilities. There are over 50 trail routes for hiking in Andorra and five major European long-distance trekking routes cross through the principality. For those on a longer journey, there are over 30 mountain huts where trekkers can stay for the night. Many hikers seek out the Madriu-Perafita-Claror Valley. This remote valley covers nearly 10% of the principality and has tremendous natural beauty. The valley’s remoteness has preserved a 13th century culture of communal land ownership and traditional agriculture methods. 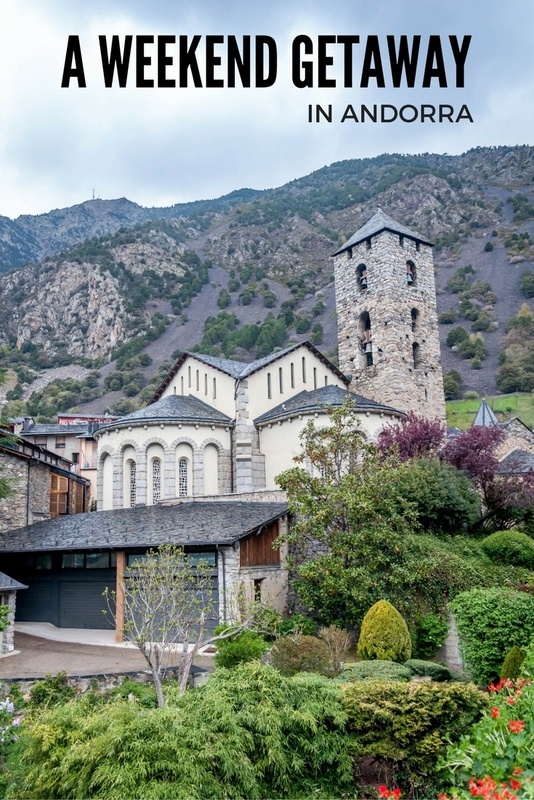 The Madriu-Perafita-Claror Valley has been recognized as Andorra’s only UNESCO World Heritage Site. 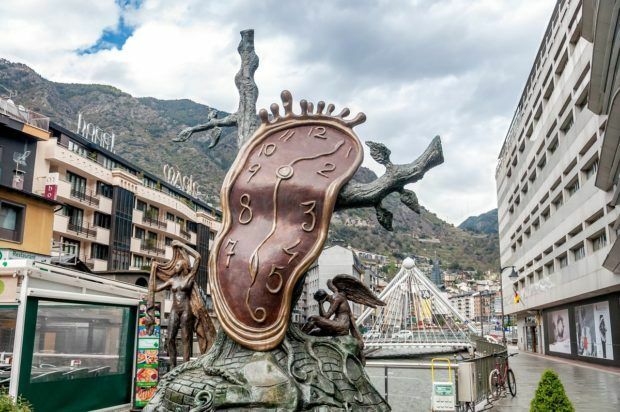 Andorra can be quiet in the summer, but in winter, the principality comes to life. It is a winter sports playground and skiing is one of the most popular things to do in Andorra. Most skiers make their way to the Vallnord resort, which is made up of three different mountains. 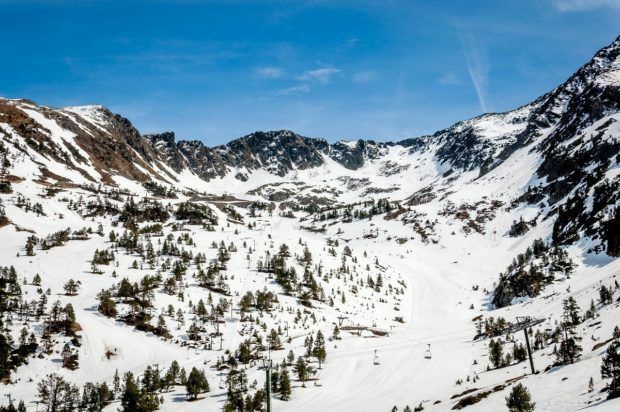 While our trip to Andorra was in the late spring/early summer, there was still plenty of snow at the Vallnord Ordino-Arcalis resort. The resort was officially closed, but we got to see hikers and a few snowmobilers out on the mountain. Despite being sandwiched between two great wine cultures (France and Spain), viticulture came late to Andorra – and initially it was only an experiment. Agriculture in Andorra was historically limited to tobacco, but in 1988, grapes were planted and the first vintage came in 2006. 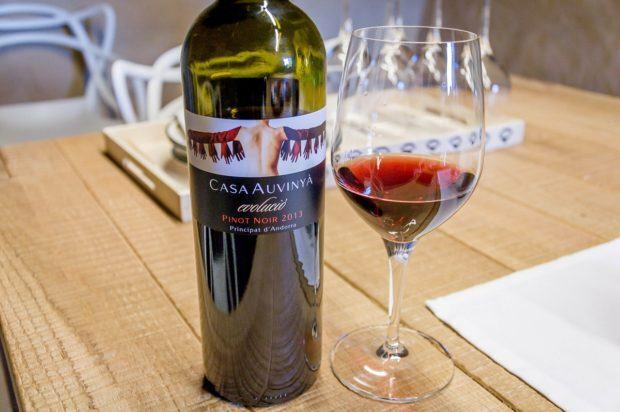 One of our favorite things to do in Andorra was a visit to the Casa Auvinya winery. Perched high on the side of a mountain on the road from Sant Julia de Loria, you can enjoy delicious vintages while taking in beautiful mountain views. In the Escaldes-Engordany Parish, just across the river from capital of Andorra la Vella, an iceberg-shaped building pierces the sky. This is one of the most architecturally unique buildings on the planet and it is home to the massive Caldea-INUU spa complex. 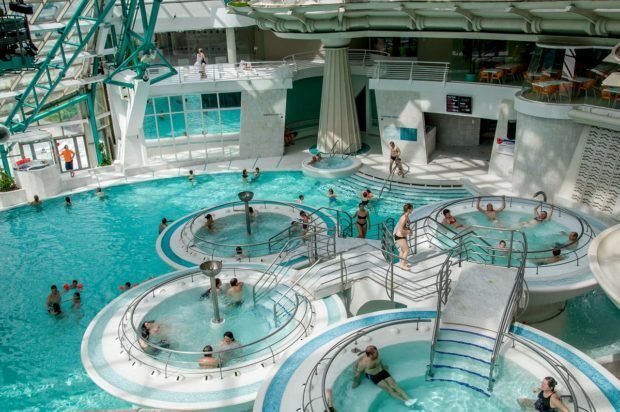 When built, it was Europe’s largest hot springs and spa complex with over 65,000 square feet of spa space! Since opening in 1994, the Caldea spa has welcomed thousands of visitors from around the world. In 2013, the companion INUU spa was built featuring an adults-only atmosphere. The two spas are a great way to relax after a long day of hiking or skiing. For generations, Andorra has had favorable tax laws and been a kind of tax haven. That means many visitors come to the country to go shopping. 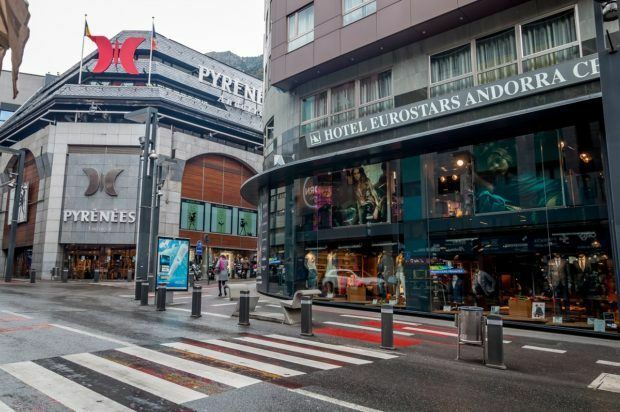 In fact, duty-free shopping is one of the top things to do in Andorra la Vella. Shoppers should head to Meritxell and Carlemany Streets to get their fix. Judging by our walk through town, the most popular items are tobacco, alcohol, electronics and clothes. To be completely honest, we really didn’t know what we were going to find on our trip to this country in the Pyrenees Mountains. The name Andorra doesn’t really conjure up an image for many travelers. 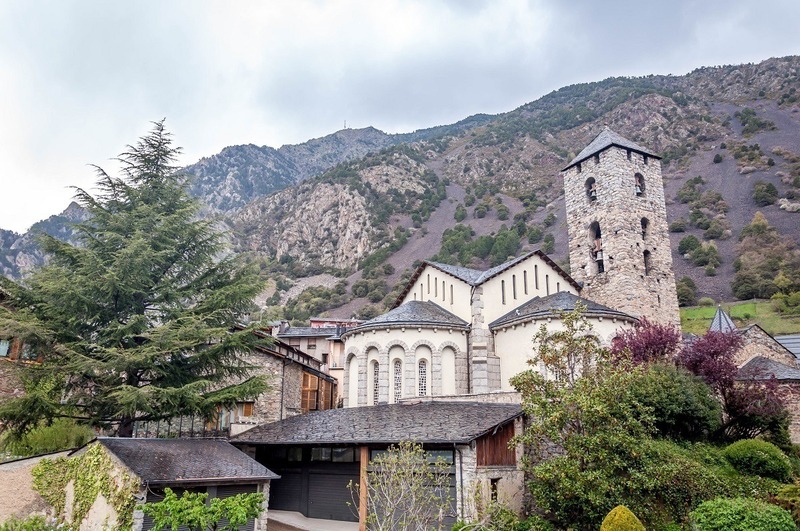 Yet, we discovered there were enough fun things to do in Andorra la Vella and the surrounding mountains to keep us happily occupied for a weekend.